Liquid Telecom Zimbabwe’s Managing Director, Wellington Makamure reached a remarkable career milestone after he was bestowed with his 4th business leadership award two weeks ago. A renowned technocrat within the Information Communication Technology Industry, Makamure is one of the top business leaders whose names will go down the books of history through his massive contributions in transforming Zimbabwe and Africa’s telecommunications terrain. Makamure leads a very competent management team which includes Martin Mushambadope who is now Liquid Telecom Zim’s Deputy Managing Director after his promotion from the post of Chief Commercial Officer. Liquid Telecom has assembled what could probably be Africa’s strongest workforce in the telecoms sector as the Internet Service Provider continue to pursue its vision of completing a fibre optic network which connects Cape Town, South Africa to Cairo, Egypt. 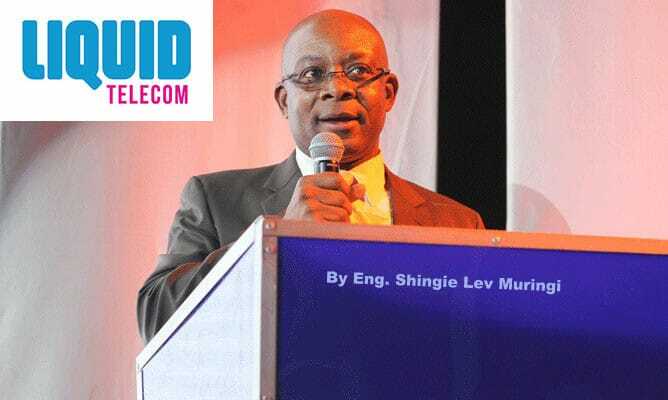 Since he joined Liquid Telecom, Makamure stirred the operator to become Zimbabwe’s market leader with its market share now sitting at 64.9% in the 1st Quarter Sector Performance Report released by the Postal and Telecommunications Regulatory Authority of Zimbabwe (Potraz) last month. Liquid Telecom Zim has realized a 10.56% increase in market share from the previous 54.3% achieved by the operator in 2017 as reflected in Potraz’s 4th Quarter Sector Performance Report for year ending 2017. Liquid’s massive investment in Zimbabwe’s ICT sector has yielded positive results for the nation with a total combined revenue generated by all Internet Access Providers in the first quarter of 2018 reaching $79,5million. This represents a 52.18% increase from $52,2million recorded in the last quarter of 2017. Wellington Makamure launched his career as a Senior Telecommunications Engineer in the President’s Office in 1982 before exiting government in 1989 to join Siemens Mobile Zimbabwe in the same year. In 1993 he moved to join Chloride Zimbabwe as the company’s Business Development and Marketing Manager. In 1994, Makamure went on to join management teams of prolific companies like Chubb Union Zimbabwe as an Executive Director, Teleaccess Zimbabwe as General Manager in 2001, Philips Electrical in 2002, and went on to head TelOne Zimbabwe as the fixed telecom operator’s Managing Director in 2004 before joining Liquid Telecom as Managing Director in 2009. He was later elevated into the Liquid Telecom Group as the Group’s Executive for Southern African Region in 2010.